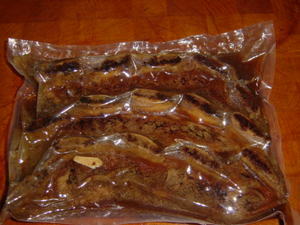 Put the short ribs and the teriyaki sauce in the bag and let sit for 2 hours. Put in the sous vide tank and process at 80C (175 F) for 12 - 14 hours. 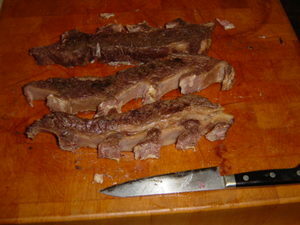 We're using higher temperatures here, so the normally tough short ribs will be done and tender in this time. Note the liquids that have collected in the bag. Pour off the liquid and reserve. I poured it into a tall narrow glass so I could de-fat the liquid. Preheat the egg to 700 F +/-. 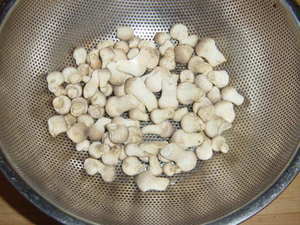 Clean the mushrooms and saute in some butter. Here I have some wild puff mushrooms. Strain the reserved liquid into a pan. Bring to a slow simmer. Mix the corn starch with a little water, and add sufficent of the corn starch slurry to the liquid to reach the desired thickness. Adjust seasonings. 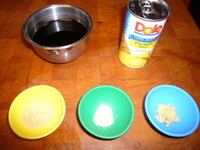 I like to add some demura sugar to the sauce. 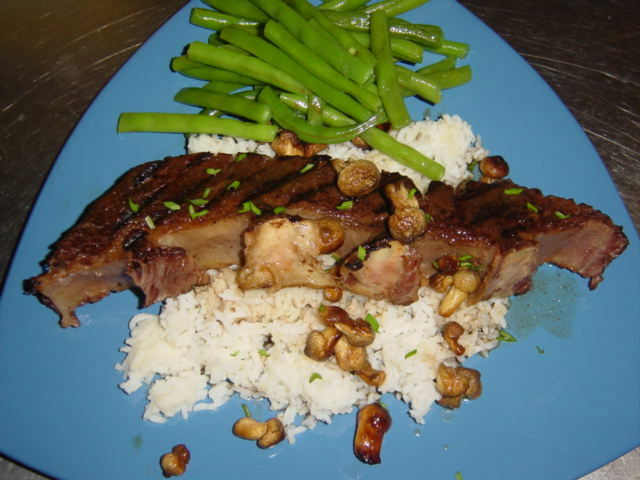 Add the sauted mushrooms. 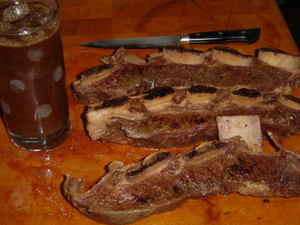 Remove the bones from the short ribs, so they lay flat on the grill. 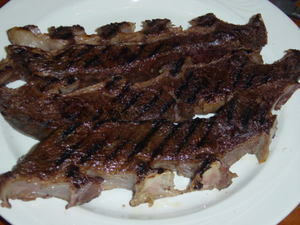 Grill on the egg for about 1 minute per side, or enough to achieve the nice grill marks.